According to The Nielsen Share of Wallet Study, Hispanics spend at least $10 more per visit than the total market on all forms of consumer packaged goods (CPG). 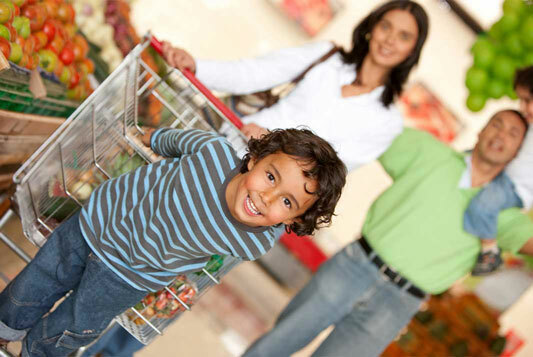 Food is the biggest CPG expenditure at $81 per visit for Hispanics, compared to $71 overall. Hispanics also spend: $51 per visit on adult beverages; $47 on household products, such as paper towels and toilet paper; $43 on health and beauty aids; and, $37 on over-the-counter medications. Hispanics are spending more money per visit on average while making as many –if not more– shopping trips per month, demonstrating that Hispanics are not only frequent shoppers but their total spend on CPG exceeds the national average. Hispanics do differ from the national average somewhat when it comes to actual usage of their financial instruments. Forty-four percent use debit cards most often, while another 34% prefer cash or checks. Only 19% use credit cards most often, compared to 35% in the total market. Furthermore, CPG and Retail marketers are seeing a direct correlation between topline revenue growth and Hispanic media investment, according to a report from AHAA: The Voice of Hispanic Marketing. CPG and retail companies among the top 500 U.S. advertisers increased their Hispanic media spend by 67% during 2010 to 2014 – compared to a 20% increase of aggregate Hispanic ad spending from 2006 to 2010. The study revealed that shifts from English to Hispanic media explain 28% of CPG-Retail companies’ acceleration in topline revenue growth from 2010 to 2014.